The Danish royal family and their fascinators gathered this weekend to celebrate the confirmation of Prince Felix, the second son of Prince Joachim and first wife Alexandra, Countess of Frederiksborg. I think what we have here is the rare royal event where it might just be possible that the gentlemen are the more interesting sartorial story. And I pretty much never say that. 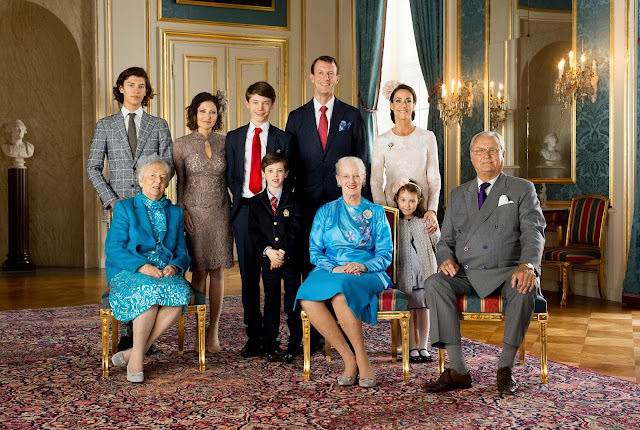 Seriously, we've got wee suits for the littlest ones, a three piece suit for Crown Prince Frederik, purple buttons to match a purple tie for Prince Henrik, and proof that the family flair for suit style will continue into the next generation with Prince Nikolai and his windowpane suit. Not bad, gents, not bad. 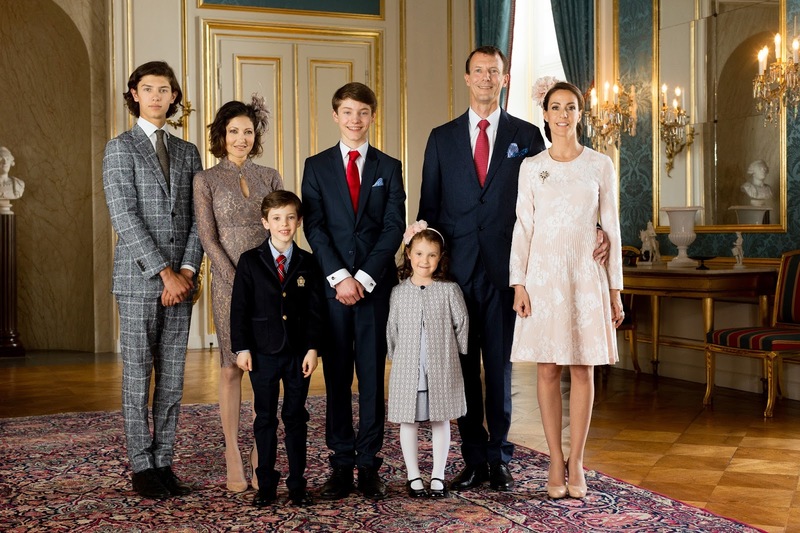 Prince Joachim must have felt like he missed the family memo. Not that the ladies didn't put on an elegant show of their own, mind you. It was just a quieter one. 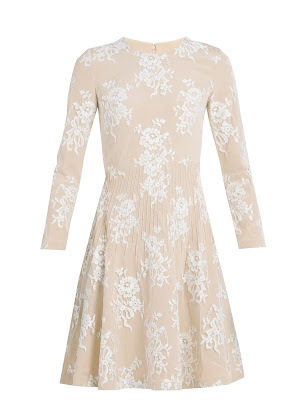 Crown Princess Mary, for example, pulled colors out of her YDE Copenhagen floral dress to make up this outfit of repeated pieces. Classic Mary in a nutshell. Countess Alexandra, continuing to defy the passage of time, was my favorite in her mauve ensemble. Princess Marie went for a family brooch, Queen Alexandrine's Diamond and Sapphire Pendant Brooch, and allowed that to take center stage on a light dress. Queen Margrethe also opted for a family brooch; this diamond daisy brooch was made for Queen Ingrid from diamonds belonging to her mother, Crown Princess Margaret, who died when Ingrid was a child. Queen Ingrid gave the brooch to Margrethe, who shares a name and a nickname (Daisy) with her grandmother. Sentimental jewels for a family occasion win all the points.